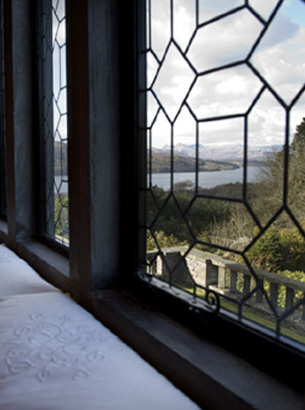 Gossel Ridding is one of the finest country houses in the Lake District with magnificent views of Lake Windermere and the mountains beyond. The house offers up to 14 guests the luxury of a first class hotel with the freedom and exclusivity of a private home. Whether you want to soar high above Wordsworth country in a hot air balloon, plunge in the lake or indulge in an in-house spa treatment, Gossel Ridding is the perfect retreat for a get together or celebration with family, work colleagues or friends.